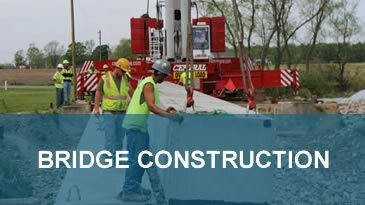 JCI Bridge Group, Inc. is a Heavy/Highway Construction Company based in LaPorte, Indiana and was established in 2005. JCI Bridge Group, Inc. specializes in the construction of bridges; from small county culvert replacement projects, to single span county bridge replacements, to multi-million dollar new bridge construction projects. 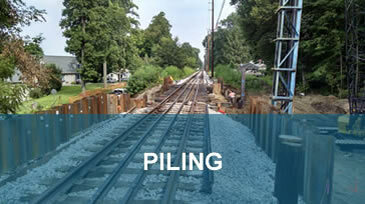 This includes roadway or railroad bridges over rivers and streams, over other highways or roadways and over railroads. JCI has also constructed several pedestrian bridges. JCI typically performs work in the northern third of the state of Indiana and have performed some work in southern Michigan. To complement the bridge construction, they also subcontract other types of work including driven piling, sheet piling, helical pier installation, bridge jacking, structural concrete and concrete flat work. JCI has learned early on in its life as a company that the employee is what drives our business and keeps our business running on a daily basis. It is our employees that work hard, in all types of weather and environment, to complete our work with the utmost quality. 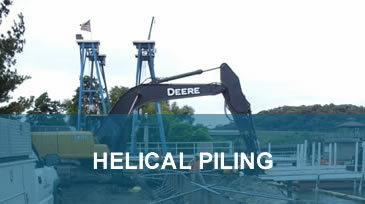 They are highly trained and have been in this line of construction for many years. JCI has very little employee turnover which provides continuity in our work and maintains a safe working environment. The bridge construction industry is one of the most dangerous industries to work in and we continue to maintain a safe working environment. This allows our employees to return home every night to their families and it helps to keep our insurance costs low, allowing us to compete in this very competitive market. JCI’s current EMR rating is 0.73 which is very good for a bridge contractor.